Levere, T., Stewart, L., Torrens, H., & Wachelder, J. (2017). 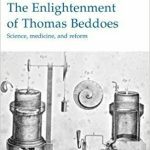 The enlightenment of Thomas Beddoes: Science, medicine, and reform. (Science, Technology and Culture, 1700-1945). London and New York: Routledge/Taylor & Francis Group. Mody, C. C. M. (2017). 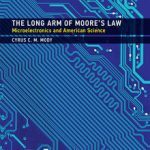 The long arm of Moore’s law: Microelectronics and American science. Cambridge, MA: MIT Press. de Bont, R., & Lachmund, J. (2017). Spatializing the history of ecology: Sites, journeys, mappings. (Studies in the History of Science Technology and Medicine). London and New York:Routledge/Taylor & Francis Group.